5 blog favourites | January. — sophie rosie. Jan 27 5 blog favourites | January. 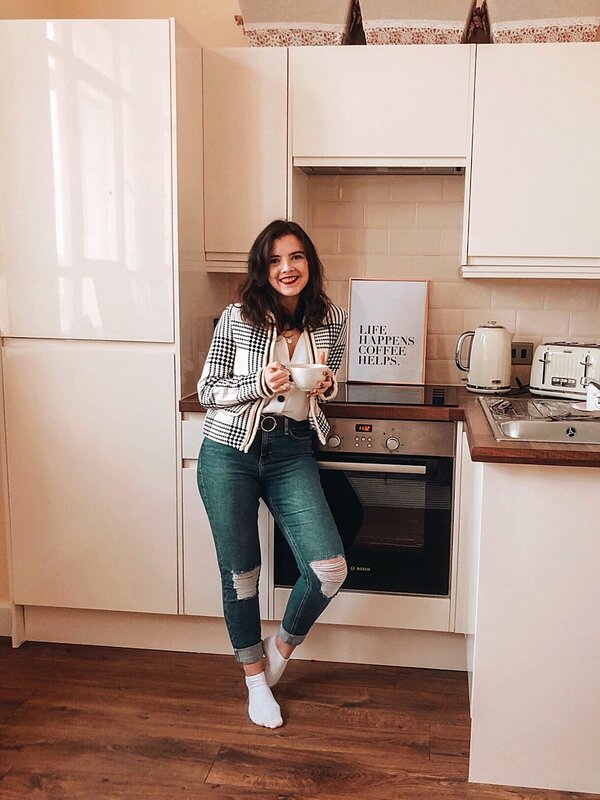 It's been just over a month since I posted my last post sharing the love for some of my favourite blogs and bloggers, and so I wanted to do a little update with some more of my favourites, and the ones that I've fallen in love with the most over the last month. Honestly, I read so many blogs every week, and it's always so hard trying to narrow it down, so hopefully I can make this a little monthly feature, and discover even more favourite reads from your recommendations, too! So, here are my 5 favourites for January. First up, Lisa's photography is amazing. She has the most beautiful aesthetic, every single one of her posts and photos fit within her brand perfectly... and, as you can imagine, her Instagram is just as perfect. Also, can we talk about her header?! It's my dream to have one of these custom created for my blog, and Lisa's is only making me want to save up for my own even more. 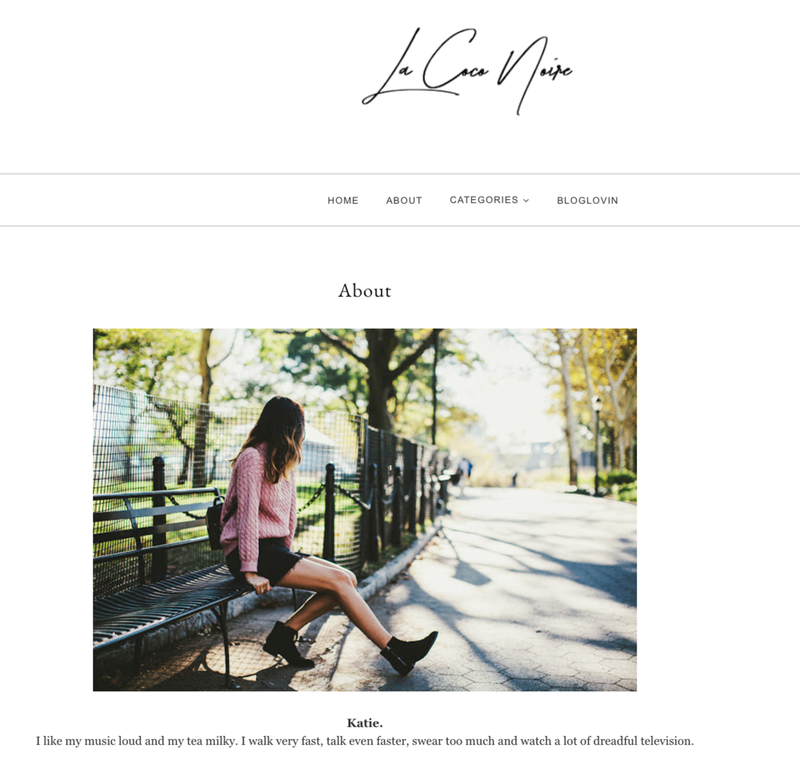 I guarantee that you're going to fall in love with Lisa and her blog as quickly as I did! 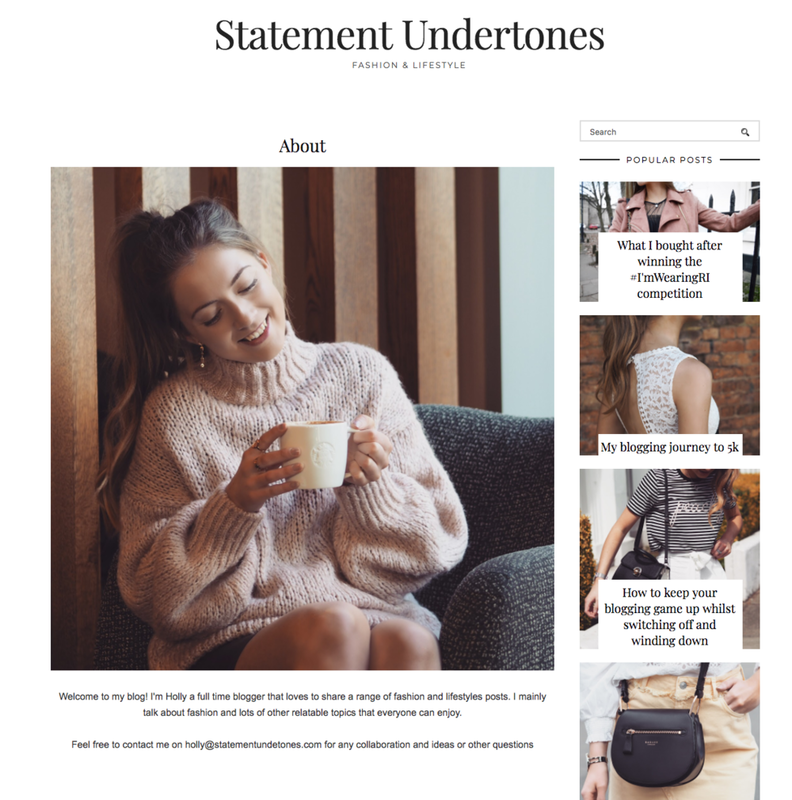 Jodie has one of the most beautiful blogs, and she seems like the most beautiful person, to go along with it! I think Jodie has become one of my girl-crushes recently - she has this really gorgeous and elegant style about her and I am 100% invested in her wedding planning, too! If her wedding posts are anything to go by so far, it's going to be such a lovely wedding! Holly's blog is a very recent discovery for me, after I found her Instagram through someone else doing a shout out story. So, a pretty long way around, but I'm definitely glad I had a quick peak! I got totally lost scrolling through all of her fashion posts - not only because her style is right up my street (and then probably 100x better), but also because her photography is also pretty incredible. This line that you can see in the screenshot of Katie's bio, could literally sum me up in a sentence, too, and I think it's one of the (many) reasons I've fallen in love with her blog! Katie blogs about travel, food, lifestyle, and even has a whole category dedicated to Paris that I binge-read as soon as I spotted it! ...of which the latter of these three posts speaks to me on a whole other level. I've read Marjolein's blog for a while now, and I have no idea why I've never shared it here before because I adore it. If you're ever travelling anywhere in Europe and need somewhere with the yummiest looking food - Miss Coco Blue is your blog! Honestly - just go and have a little explore and you'll totally get what I mean. I wish I could share every photo of Marjolein's because they're all so incredible and beautifully edited. Not only does she share her love for travel, but Marjolein also posts her own recipe's too - one of my recent favourites is definitely her Hot Chocolate one - I know we're past Christmas now, but who doesn't love Hot Chocolate?! So, there are 5 of my favourites this month. Who would you recommend?